Join the Flomlok Festival Photography Competition, register now! Attention all photographers in South Cotabato and neighboring places! 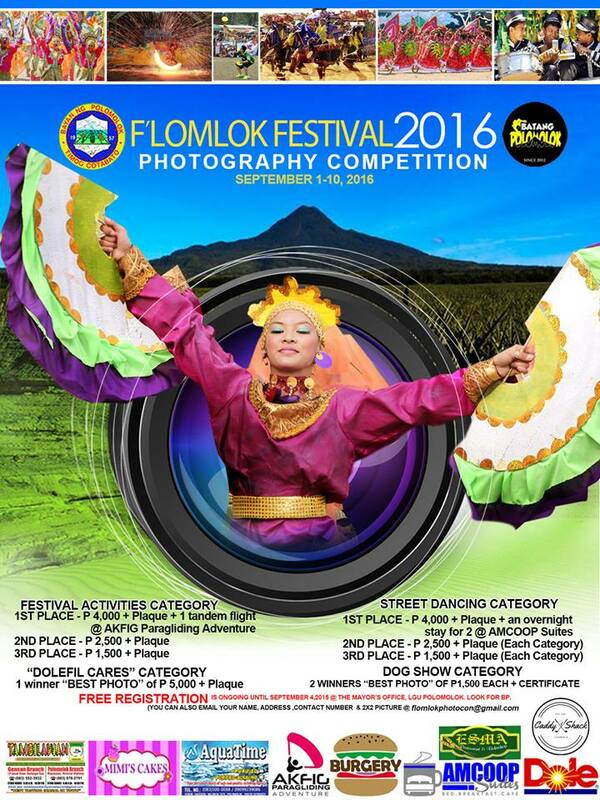 The LGU-Polomolok invites you to celebrate with them this year's Flomlok Festival happening from September 5-10, 2016. One of their activities is a photography competition and registration is on-going. Check out the poster below for details.